Dan Ramey, a lecturer for the college’s Department of Accountancy & Taxation, received the Educator of the Year Award from the Greater Houston Area chapter of the Association of Certified Fraud Examiners. Dan Ramey, a lecturer for the college’s Department of Accountancy & Taxation, is the first-ever recipient of the award, recognized for his outstanding contributions to anti-fraud education within his college and university. 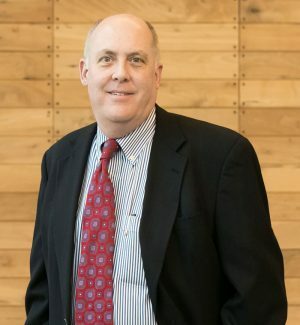 In addition to his role as a Bauer lecturer, Ramey is president and founder of Houston Financial Forensics, LLC, and past president of the Houston chapter of the Institute of Internal Auditors and formerly a member of the Board of Governors. He also served as chairman of the Houston CPA Society’s Forensic and Valuation Committee and is currently the treasurer for the Houston Infragard Chapter. Ramey first connected to Bauer College in 2010, when he judged presentations for Newman’s communication course. From there, he joined the department’s Accounting Advisory Board and was instrumental in the college becoming an Internal Audit Center of Excellence. Now in his third year on the college’s faculty, Ramey teaches the graduate-level course, Enterprise Risk Management and Fraud Examination. “It is an honor and privilege to be able to work with such a great group of faculty, staff, and students,” Ramey said. “Teaching the two classes is the highlight of my week. I love being a part of the students as they go out into the business world, and I sincerely hope that I am successfully preparing them, academically and professionally, to succeed in accounting and business.